My little sister is having a baby in a couple weeks. She lives 6 hours away so I sent her this baby gift set for her little girl. She opened it at her baby shower! She loved it!! She loves pink and zebra prints. Can’t wait to see her baby girl in the outfit! 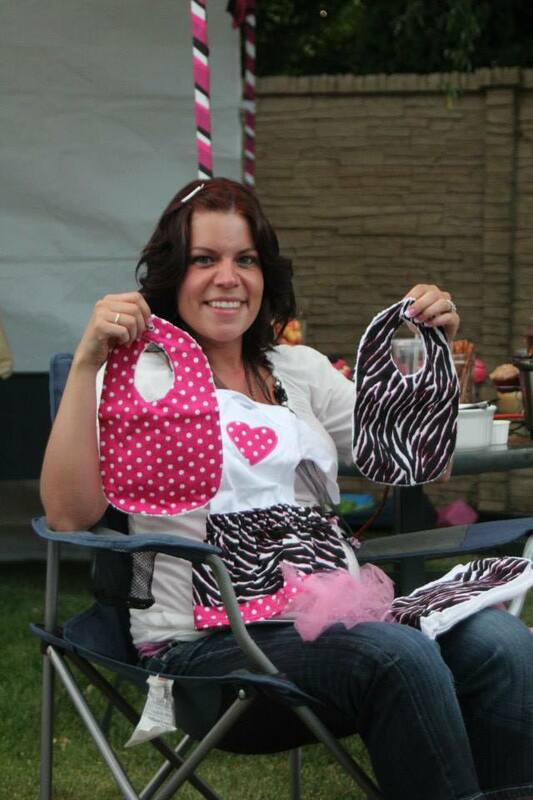 My Super cute little sis at her baby shower!! Check out my tutorials for the bibs and burp cloths in my etsy shop!